Buy my books! "SQ21" and "last boy"! Or pay me money to write stuff!!! As some of you will have recently heard, the Flying Inkpot Theatre Reviews has closed down after 19 years of operation. It was Singapore's oldest (and at times, only) arts magazine, founded at the dawn of the nation's Internet history, in 1996. This is pretty personal for me. I've been one of the writers for the website since 2005, although less active of late. Hell, I used to hang out with Jeremy Samuel and Seow Yien Lin, when they were covering TheatreWorks revue of its Writers Lab program, 30 Plays in 30 Days, all the way back in 2001. I got to know editors Kenneth Kwok and Matthew Lyon around that time too, back when they were both still at NIE, when we were participating in a playwriting workshop called Playwright's Cove, organised by The Necessary Stage. Back then, both of them were still skinny and eating meat, and Matthew had all his hair. I was an NS boy, mind you, and they'd been to study in the UK, so they seemed so much older. Back then, the rest of the team was Deanne Tan, Malcolm Tay, Eugene Tan, Musa Fazal and Nadia bte Ibrahim (whom I never met). Of that lot, I'm the only one left. Oh, and back then, I was reviewing like a maniac. Two, sometimes three plays a month, local and foreign, avant-garde and conventional, Stage Club and Agni Koothu, even a few dance productions, everything, pao ka liao, I was there. I'd catch a show at eight, catch a bus at ten, maybe hang out at Borders till midnight reading plays for free, then get the last bus home and bang out the review before the dawn. Or maybe within three, four days, a week tops. I had energy then. And focus. I think YouTube wasn't a big thing yet, and I had a lot to prove. Because of my reviews - which were painstakingly detailed and justified, since I was part of the theatre community and couldn't hurt anyone's feelings without explaining exactly why, which were more lyrical than were necessary because I am, after all, a poet - I ended up reviewing for other sites. The Substation Magazine, Singapore Art Gallery Guide, The Online Citizen. And of course, the Straits Times, eventually. And oh boy, was I furious at the limitations on style I got from the Straits Times. No "I" statements, even though theatre appreciation is subjective! No contractions, even though my natural writing voice is casual and conversational! And just 500 words to express everything I wanted to say! I'm just glad ST never called me out on those times when I emailed them a review for print, then proceeded to submit a more detailed review of the same show for the Inkpot. I had a great sense of pride as an Inkpot reviewer. Part of it was the vintage of the website, but another thing was the fact that theatre people really appreciated the efforts the editors and (most of) the writers. They felt we were more balanced, when really, we just had more space and time to explain what we thought, and any negative things we said were easily forgotten. We were an obscure site, you see. At one point, most of the theatre community may have known about us, but as the years rolled by, and audiences grew wider and more mainstream, it became clearer and clearer to us that we were a trade magazine, appreciated principally by insiders. We knew there were other review sites popping up - Buttons in the Bread, Just Watch Lah, QLRS - and we welcomed them, even recruited a few people based on their blogs. But as time went by, I think we started to sense we were that much less relevant. We couldn't keep up with the huge calendar of today's theatre (let alone dance), and these days, everyone with a Facebook or Twitter account is a reviewer of sorts. If we wanted to really matter, we had to devote more time to it. But we were getting older and busier, and attempts at renewal (such as when I tried taking over parts of the site maintenance) turned out to be less than effective. But I'm not content. I'm really hoping that the flag is carried on somehow - perhaps The Online Citizen could simply adopt the name for their meagre theatre reviews? Or perhaps some earnest new NIE grads could shoulder the responsibility themselves? So yeah, I'm putting a call out: does anyone want to take over the Flying Inkpot? I'll still write for it off and on. I'm also making this call out of guilt, because I overslept (jet lag) on the evening we were supposed to meet for our last photo shoot. We hardly get to meet in real life, you see. We're virtual colleagues. But here's (clockwise from top left) Kenneth Kwok, Karin Lai, Jocelyn Chng, Naeem Kapadia, Selina Chong and Matthew Lyon, for your viewing pleasure. Just imagine me curled up behind them in the back, preparing to say boo. P.S. This is relevant to SIFA because Inkpot used to review stuff at the festival diligently. And now this fest will be post-Inkpot. Another empire gone. Jay Bernard and Evan Ifekoya present "Get off my back will you and give someone else a chance", a workshop and evening event about queer activism, art and performance. The evening event is £5 and begins at 7.30pm. 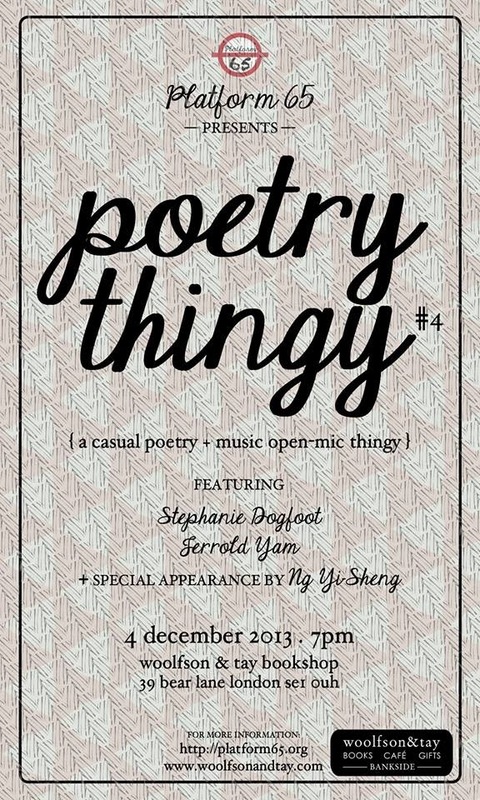 I'm hosting a poetry event with London-based Singapore-culture-dissemination group Platform 65. Come come! Platform 65's Poetry Thingy is a series of casual poetry + music open-mic sessions featuring poetry, spoken word, and live music by Singaporean artists. Each event features a headline artist (or two), but the mic’s open to everyone! Bring your friends, your poems, and your songs. Stephanie Dogfoot, also known as Stephanie Chan, is a poet and sometime law student from Singapore, currently based in London. In 2010, on a summer holiday home, she won the Singapore Slam Championships and represented Singapore in the Indian Ocean Slam Championships on Reunion Island in December that year. In 2012, she won the Farrago UK Slam Championships and represented the UK in the European Slam championships in Antwerp (where she came 2nd runner-up). In June 2013, she represented the UK in the Poetry Slam World Cup in Paris and got into the semi-finals. She performs and organizes spoken word nights around London, sometimes other parts of the UK, and (when she gets to go home) Singapore. She has also performed at the Glastonbury Festival, Small World Festival, Nozstock Festival, the Poetry Cafe, Southbank Centre, various squats in London, and many cities around the UK from Birmingham to Oxford to Aberdeen. Jerrold Yam (b. 1991) is a law undergraduate at University College London and the author of poetry collections Scattered Vertebrae (2013) and Chasing Curtained Suns (2012) by Math Paper Press. His poems have been published in more than seventy literary journals and anthologies across twenty countries. He has won first prize and three honorable mentions in the National University of Singapore’s Creative Writing Competition 2011, first prize in the British Council's History and the City Competition, and is the youngest Singaporean to be nominated for the Pushcart Prize. He has been featured at Interrobang, London Book Fair and Singapore Writers Festival, among others. His poems have recently been translated to Spanish. Jerrold will also be launching 'Scattered Vertebrae' at Poetry Thingy #4, with a short discussion moderated by Ng Yi-Sheng. Ng Yi-Sheng is a full-time writer of poetry, fiction, non-fiction and drama. Since 2006, he has curated the annual LGBT literary event ContraDiction, and also co-edited "GASPP: a Gay Anthology of Singapore Poetry and Prose". His books include "SQ21: Singapore Queers in the 21st Century" and "last boy", which won the Singapore Literature Prize. He is currently pursuing an MFA in Norwich, UK. Buses: 45, 63, 100, 381, RV1. ** Open-mic slots up for grabs! For enquiries, send Platform 65 a private mesage on FB or email cui@platform65.org. 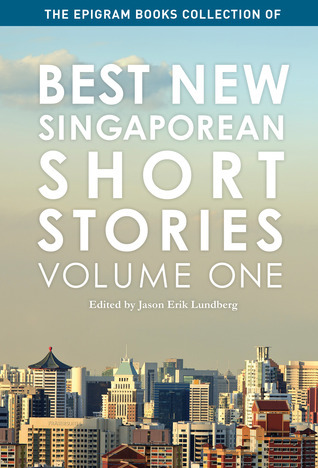 The Epigram Books Collection of Best New Singaporean Short Stories is a new biennial anthology series, with this premiere volume showcasing the best short fiction from Singaporean writers published in 2011 and 2012. Join Jason and five notable contributors—Alfian Sa’at, Yu-Mei Balasingamchow, Alvin Pang, Stephanie Ye, and Wei Fen Lee—in a discussion of their works. The Substation Fairytales: Stories in The End are modern tales of love, identity, and belonging for adults. Reasons for the Rain is a poignant tale of serendipity and chance, of two strangers crossing paths in the concrete jungle. The Crocodile Prince is about a boy finding himself in a magical jungle of mystery. 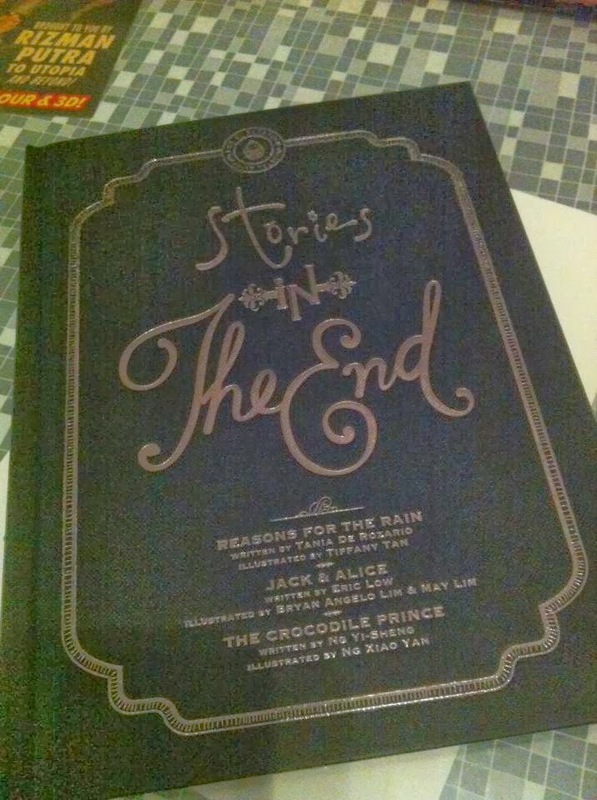 Jack and Alice is a story built from inner thoughts and how the lives of the title characters are built both parallel and divergent from that of each other and in the fairy tales. There will be readings followed by a book signing, Q&A session and reception. On October 14, a regional network of LGBT rights organizations launched a video in response to the exclusion of Sexual Orientation and Gender Identity/Expression (SOGIE) from the language of two recently adopted declarations protecting women and children from violence. The video is part of a bigger campaign called “We are #ASEANtoo!” which was launched a week before the 23rd Association of Southeast Asian Nations (ASEAN) Summit on October 9 to 10, in Brunei. The Declarations on the Elimination of Violence Against Women and Elimination of Violence Against Children (DEVAW and DEVAC respectively) were set to be adopted at the said summit. The campaign also included an ASEAN-wide virtual conversation using the micro-blogging site Twitter. Dubbed “#ASEANtoo! 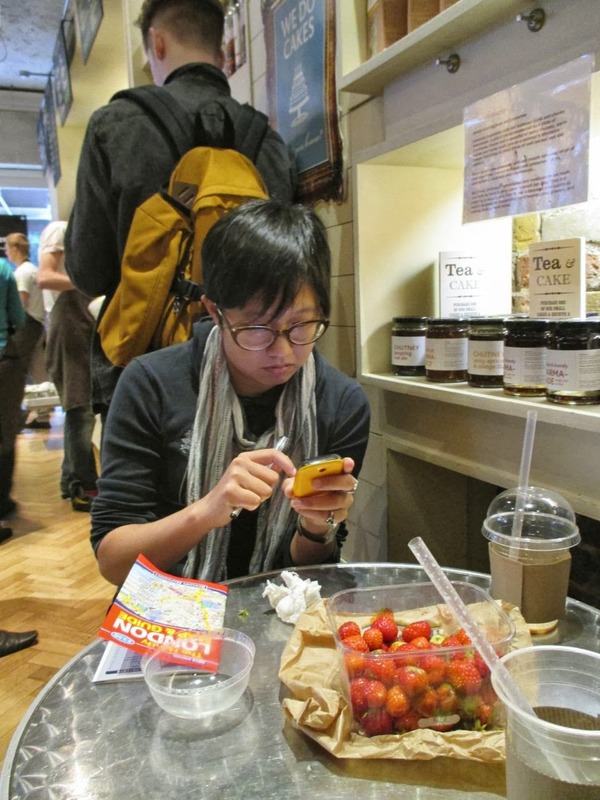 Queer Tweets,” the virtual conversation coincided with the ASEAN summit. It drew Twitter users from all over the region and aimed to raise their awareness of issues related to SOGIE. The virtual conversations also aimed to expose the lack of transparency of ASEAN processes. “The ASEAN Sexual Orientation and Gender Identity/Expression Caucus (ASC) started this campaign because of the many challenges we faced in ensuring that the two declarations explicitly mentioned SOGIE. Even with the help of our allies, we felt there was a high possibility that SOGIE would be dropped,” said Ron de Vera, ASC spokesperson. “When we saw that the officially adopted declarations didn’t mention SOGIE, we were very disappointed. We are also deeply concerned that there is an emerging pattern of SOGIE exclusion from human rights declarations in the ASEAN,” added de Vera. This is the second time SOGIE was not mentioned in the language of an ASEAN declaration. The first was in the ASEAN Human Rights Declaration adopted by the ASEAN on November 18, 2012. The process of drafting the two declarations required national consultations by each country’s women’s caucus. This was meant to ensure participation of civil society organizations (CSOs). However, the drafts were not widely circulated, prompting CSOs to call out the ASEAN for its lack of transparency. Discrimination, harassment, and violence against individuals of diverse SOGIE continue to be a heightened human rights issue in the region where laws related to SOGIE vary from one state to another. According to Social Action For Equality (SAFE), a Manila-based organization that monitors hate crimes against Lesbian, Gay, Bisexual, and Transgender (LGBT) people, there have been more than 164 LGBT killings in the Philippines since they started monitoring media reports in 2009. Figures on violence against LGBT people remain underreported due to poor protection mechanisms and legislation in the region. “Lesbians, bisexual women, and trans women (LBTs) in all ASEAN countries face violence too. Their experience is further aggravated by the hate and stigma that come with their gender and sexuality, and that is why we need SOGIE to be explicitly mentioned in ASEAN declarations. Why exclude them? They are productive members of the ASEAN community too!” said de Vera. The (ASC) is a network of activists and organizations in ASEAN member states who work to ensure people of diverse SOGIE are not marginalized from ASEAN-level mechanisms and processes. I've got a gig in London! It's going on next Wednesday! I'll be taking the train down from Norwich, performing 15 minutes of slam with some UK artists in Forget What You Heard (About Spoken Word). My fellow Singaporean poet, Stephanie Dogfoot, programmed me in - she recently represented the UK in the World Cup for Poetry Slam in Paris! It's also her farewell gig, 'cos she's returning home soon - hopefully developing our own scene. That's the best photo I took of Steph when we met up in London the second day I was here. The blurb for the event's below! Autumn is upon us, cold weather is approaching, the year 2013 is drawing to a close so what does this mean? 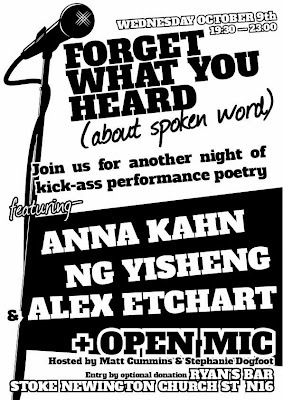 So come down and join STEPHANIE DOGFOOT and MATT CUMMINS and celebrate/commiserate/bid farewell, and October's three spell-binding features you will definitely remember for a long time coming..fireball Anna Kahn, one of the most exciting & funny & accomplished young poets from Singapore today Ng Yi-Sheng and the tender yet ferociously compelling Alex Etchart. and of course, YOURSELVES on the open mic! As always, entry by donation. p.s. Since our open mic is so consistently packed out nowadays, we'll only be letting half of the open-mic slots go BEFORE the night, so that there's still room for people to rock up on the day and take part. So that means there are SIX spots up for grabs to you eager social networkers. Go, go, go! ANNA KAHN Anna Kahn writes letters for a living and poems because apparently thinking about words for eight hours a day is not enough thinking about words. She once beat Scroobius Pip in a Golden Gun contest judged by a lady with questionable taste (true story). She writes everything from PG-rated poems about sexual deviancy to firmly 18-rated poems about her own grandmother, but she promises that if you'd ever met her grandmother this would make perfect sense. She's never been published, partly because she's one of those dreadful spoken-word impostors the Independent says is killing poetry by never actually submitting anything to anyone. 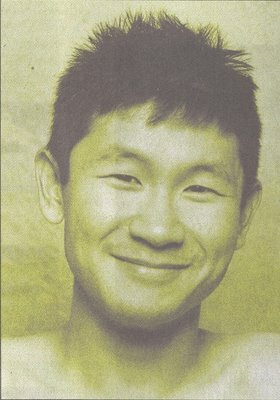 NG YI-SHENG Ng Yi-Sheng is a Singaporean poet-playwright-journalist-fictionist and LGBT activist. He's the youngest ever winner of the Singapore Literature Prize, which he received for his debut poetry collection "last boy". Recently, he co-edited two literary collections: "GASPP: a Gay Anthology of Singapore Poetry and Prose" and "Eastern Heathens: An Anthology of Subverted Asian Folklore". For the past few years, he has taught in his country's only university-level creative writing program and co-organised the monthly multi-disciplinary arts event SPORE Art Salon. Right now, he's based in Norwich, doing his Masters in Creative Writing (Prose) at the University of East Anglia. He was possibly the first slam poet Stephanie ever saw and got inspired by in one of the first queer literary readings in Singapore in 2005. ALEX ETCHART Alex Etchart is a community musician, folk singer, poet, activist, clown, drama teacher, workshop facilitator and all-round decent human being. He has been involved with and inspired by Occupy London, Friern Barnet library and Balcombe anti-fracking Community Camp. Taking a page from folk singers from Woody Guthrie to David Rovics, his poetry is urgent and unapolagetically critical of the world as we know it, and unflinching in its call to unfuck-it-up, with a solid dose of heart and humour. And here's my lineup of writers! I'm also doing Southeast Gaysia, a talk on ASEAN gay culture and rights, at 4pm, same venue! Loo Zihan´s archive of the Brother Cane performance art incident in Singapore. I´ve written an essay for his brochure. A display of works by young Singaporean photographers - plus the poetry and short stories they´ve inspired.